As the French president urged his American counterpart to press for new concessions, Iran’s foreign minister says Tehran won’t accept any changes to the deal Obama agreed to. He came, he saw, he cajoled. French President Emmanuel Macron on a state visit to Washington on Tuesday may actually have persuaded President Donald Trump—who called him a “great friend” and a “leader”—that simply tearing up the deal with Iran that froze its nuclear program until 2025 would not be a good idea. But if Trump embraces the kind of program Macron is talking about, which includes pushing Iran to make a whole new series of concessions on other issues, the situation in the war-torn Middle East could grow a whole lot worse before it gets better. The reason, according to Iranian Foreign Minister Mohammad Javad Zarif, who has been making the diplomatic and journalistic rounds in New York, is that Tehran is not going to agree to anything beyond the current nuclear accords painstakingly negotiated with the Obama administration. And Zarif suggested that added pressure may make even that existing deal worth less than the paper it is printed on. Trump is due to make his decision by May 12. 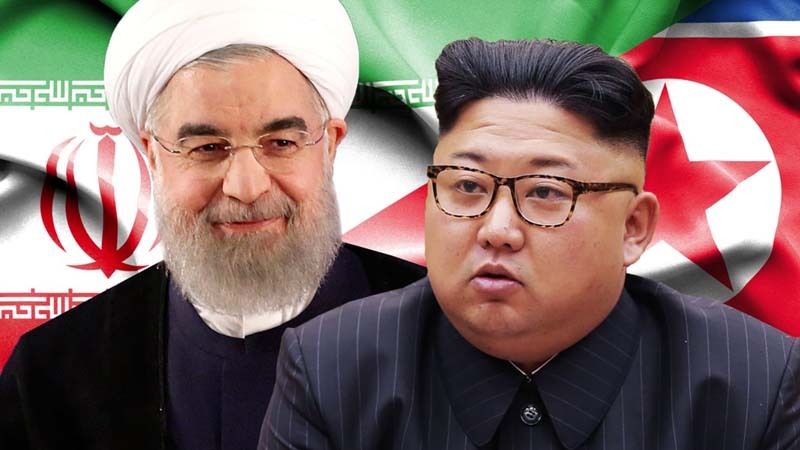 North Korea, which has close and controversial ties to Iran, will be watching closely, and Zarif notes that any leader, including Kim Jong Un, would see little value in agreements with Washington that would last only as long as the term of the president who signed them. Macron, for his part, tried to put the Iran deal in a context that would be easy for Trump to understand and, he hoped, for Trump to explain to his core supporters. What the two presidents sketched out in their remarks on Tuesday would have four central “pillars,” as Macron put it. First is maintenance of the current nuclear deal, the so-called Joint Comprehensive Plan of Action (JCPOA) agreed to in 2015 by Iran, the United States, France, Britain, Germany, Russia and China. At the time it went into effect, Iran was within months of producing enough nuclear material to start building atomic weapons, if it so chose. Those operations were halted for 10 years, and in return Iran’s long-frozen assets in the West were released, while some international sanctions were lifted. The hope was that this would usher in a new era of more positive relations. But that was not to be. Zarif insists that would not mean building nukes, but without the JCPOA and the inspections that are part of it, the West would once again be dealing with “unknown unknowns” about weapons of mass destruction, much as it was before the invasion of Iraq. The second pillar of policy that Macron presented to Trump is the idea that a new accord must be negotiated for what happens in “the long run” after 2025, when the current agreement expires. Critics of the deal have always denounced it as too temporary, leaving the door open at the end for Iran to race toward the development of nuclear weapons. Zarif points out that the first paragraphs of the accord repeat multiple times the Iranian commitment to an “exclusively peaceful” nuclear program. The third pillar, and in Macron’s view a separate agreement, would lead to the curtailing Iran’s ballistic missile program. In fact, U.N. Security Council Resolution 2231 imposed missile-related restrictions that Iran has violated repeatedly and unapologetically, insisting they are not part of the accord itself. “They ignored them in the past, and they continue to ignore them,” says Valerie Lincy of The Wisconsin Project, which watches these developments closely. Not least of the concerns is that Iran and North Korea may be sharing technology or hardware for their missile programs. The fourth pillar is to block Iran’s expanding influence on the ground, directly or through client militias, in Iraq, Syria and Yemen. In all three countries, to varying degrees, Iran sees itself supporting local forces to fight Sunni jihadists and wage a proxy war against Saudi Arabia. “We are responding to a threat created by U.S. allies,” Zarif told members of the Council of Foreign Relations in New York on Monday. It is to help contain Iran that Macron argued the United States must maintain a military presence in the east of Syria even after the so-called Islamic State has been obliterated. Defense Secretary James Mattis and other Trump advisers have made similar arguments, despite Trump’s stated wish to get all 2,000 American forces out of there. When Trump rattled off his views on Syria, there was a certain echo of Macron’s. Iran must be stopped from profiting off the success of the American-led coalition defeating ISIS, and must be prevented from establishing a so-called land bridge stretching through Iraq and Syria all the way to the Mediterranean, Trump said. Others, meaning mainly the Saudis, must help pay the bills, and they should send troops as well. At the end of the day, how all this will stabilize the region is unclear. The Four Pillars of Macron, if met by Iranian resistance and retaliation, will have done little to bring peace. But such is the confusion in Washington that any framework for dealing with the chaos of the Middle East must be welcome, even to Donald Trump.